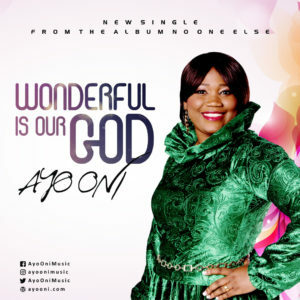 Ayo Oni - Wonderful Is Our God (Free Download) - From Album "No One Else"
“WONDERFUL IS OUR GOD” is the track 7 of Ayo Oni's award-winning album “NO ONE ELSE”. This song as given by God and written by Ayo is a song that strengthens our faith in God and ministers hope to listeners. "WONDERFUL IS OUR GOD" reminds every listener of what God has done before and that which He can still do. The simple message therefore is; if God has done it before, He can do it again. We only need to believe. Click link for free download of "Wonderful is Our God"
Ayo Oni - I Will Sing (Free Download) - From Album "No One Else"
“I WILL SING” is the pre – album release single (Track 10) from Ayo Oni’s award-winning debut gospel album “NO ONE ELSE”. It is a praise and worship song that shows our essence of deep gratitude to the God. It stated some, out of the many reasons we should always be thankful to God for... 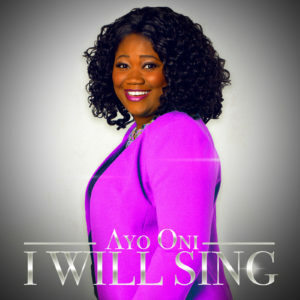 The inspiration behind “I WILL SING” as given by God and written by Ayo is to show how good it is to sing to the Lord and shout His praises with great expressions in all situations. You are free to praise Him in your own way even if you have to jump, bow, shout, wave, etc. Just do not let anything hinder your praises.